Self-service data preparation is a modern solution to the age-old problem of converting messy data into an accurate, well-structured output for analysis. In short, self-service data preparation empowers a much broader set of users to explore complex data at scale, identify the right transformations, and, ultimately, have greater control over the end analytic output. 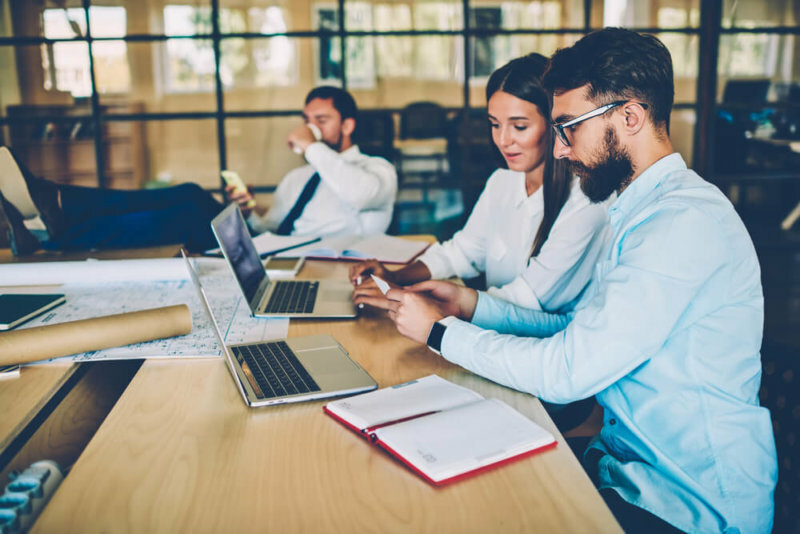 Whereas before these business-savvy analysts depend upon their IT organizations to deliver the right data requirements, self-service data prep is democratizing the data preparation process. Democratizing data preparation increases throughput and allows you to leverage the collective wisdom of the broader organization to achieve better outcomes faster. Together, these factors can have massive impact on the business. If ROI on your data is directly proportional the number of people using it, self-service data prep allows IT to become the data hero, streamlining the data supply chain and unleashing more data on the organization than ever before. In turn, with self-service data prep shifting the work to the information consumers, IT organizations can focus increasingly scarce resources on data acquisition as well as broader governance issues like reuse, standardization, security, and compliance. Finally, shifting to self-service data preparation will not only results in faster cycle time, but it will also result in better insights since the people preparing the data actually know how it’s being used to drive to decisions. Interactive Exploration: Trifacta’s self-service data preparation tools presents visual representations of the data based upon its content in the most compelling representation. Detailed visual representations allow for deeper data exploration, providing an automatic understanding of the data at its most granular level. Predictive Transformation: Every click, drag or select over the visual representations in Trifacta leads to a prediction—the self-service data prep tool intelligently assesses the data at hand to recommend a ranked list of suggested transformations for users to evaluate or edit. 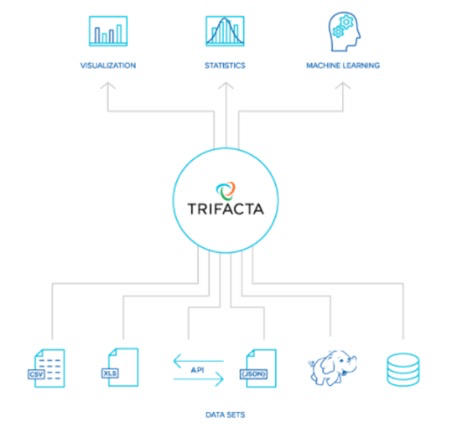 Unlike any other self-service data prep experience, Trifacta empowers non-technical users with intelligent, agile data wrangling, which ultimately produces a more accurate output. Intelligent Execution: Every transformation automatically compiles down into the appropriate processing framework, whether that’s MapReduce, Spark, or our own single-node execution for smaller data sets. Users can expect best-fit execution based upon the scale of their data and types of transformations for unrivaled performance. Collaborative Data Governance: To meet the growing data governance requirements of modern IT departments, Trifacta’s self-service data preparation technology provides support for collaborative security, access, data lineage and metadata. Experience a new tool for self-service data preparation, try out Trifacta Wrangler today. Explore a new approach in self-service data preparation, sign up for free Trifacta Wrangler.